Car accidents can happen when we least expect them, and the impacts of some of these incidents can be quite severe. 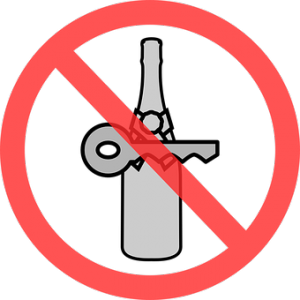 One action that puts people on roads at risk is the criminal activity of drunk drivers. These individuals are acting recklessly and putting the lives of other people in danger. Drunk drivers could cause accidents that have lethal consequences. In Quincy, Massachusetts, police responded to a crash that happened around 4:50 p.m. on June 4. The incident occurred when Alan Whiffe, 53, drove a pickup truck into the Hertz building on the Southern Artery. First responders arrived at the scene quickly and found that one individual had been injured in the accidents. This individual, a Hertz employee, was taken to the hospital with injuries that were not life-threatening. Brewster Ambulance also evaluated four other people at the scene. Whiffen has been charged with drunken driving and driving to endanger. Whiffen’s actions put other people at risk and caused significant injury to one individual. The actions of drunk drivers can be quite serious, and they can leave other people suffering from injuries that impact their lives in negative ways. It is vital for all drivers to remember the duty of care they have to others around them and not engage in reckless, criminal behavior such as drunk driving. We know how serious the impacts of some of these actions can be as we regularly help victims and their families who are struggling after similar accidents. As we are also concerned members of this community, we want our roads to be safe from drunk drivers. At the Law Offices of Jeffrey S. Glassman, we know that accidents can happen and leave victims injures, so we are also here to help victims received the help they need so they can heal.